Tess's Japanese Kitchen | Cooking Japanese in the U.S. 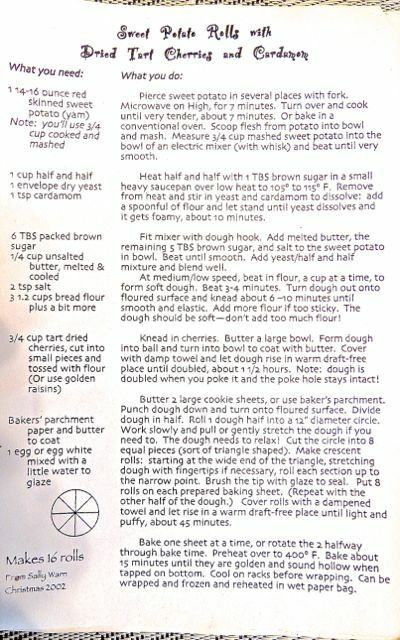 This is a treasured recipe for dinner rolls, especially during this long fall and winter holiday season in the U.S. when sharing food means memories and love. It was lost, though the Thanksgivings we ate it are remembered fondly. It is now found So I’m happy to share the recipe. Do give it a try! The cardamom is a flavor from childhood so means my mummu, mum, and daughter are there sharing with me. Friends loved the rolls, and so will you! Winter is chili season: hot, spicy, and comforting food makes spirits warm in spite of the bleak weather! Mapo tofu is a Chinese dish well loved in Japan, both in Chinese restaurants and at home. 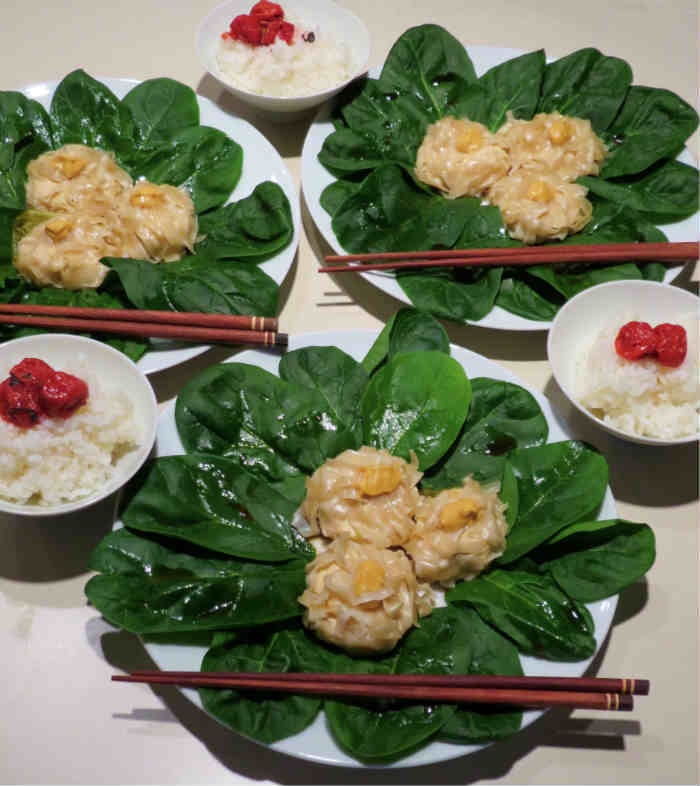 It’s easy to prepare with common ingredients: tofu, pork, toban jiang, and green onions. Mapo tofu is a dish from China adapted by the Japanese to their own tastes. It is the texture of this dish which is interesting in the mouth: the tofu is soft and the pork is chewy. It’s an odd combination that: pork and tofu, neither vegetarian nor meat centered. In this variation of the recipe I experimented with making the meat soft and the tofu chewy. J. and I went in search of a mysterious elixir last weekend to make perfect ramen noodles. Yes indeed, one can make ramen noodles at home with this magic potion: Koon Chun potassium carbonate! They have a lovely chewiness that holds up to the ramen broth without becoming soggy before you finish your bowl. 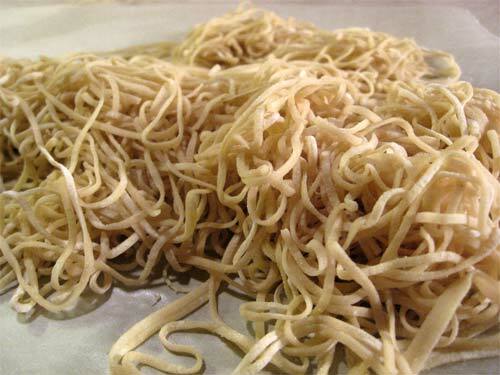 Enjoy this recipe; I’ve been looking for a way to make ramen noodles for years! My daughter is visiting again, and she loves tuna, so of course I had to make this unique seared tuna for her. There are hundreds of recipes for seared tuna, ample evidence how popular Japanese food is in the U.S. But this recipe is special because it uses crushed black sesame seeds. The fish is marinated and coated with black sesame seeds, then flour, and finally quickly deep-fried. The black and pink make a striking appearance, and the deep fried crisp coating makes a lovely contrast with the succulent tuna. 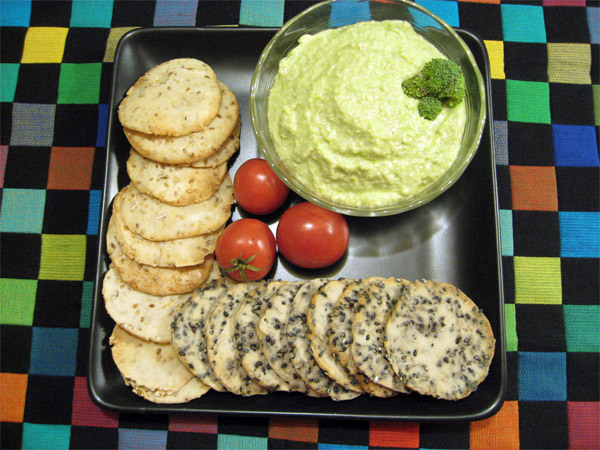 Snacks are often high in fat, salt, sugar, but these crackers are low in all three. And they are easy to make. It’s satisfying to cook something that people usually buy ready-made. These crackers are very crisp and have a nice sesame flavor. Seal them in an airtight container and they will keep for weeks. My mum used to serve a Midwestern-style chili made with hamburger, tomatoes, oregano, garlic powder, and kidney beans on macaroni elbows. It was a way of stretching a pound of ground beef to satisfy a family of six inexpensively. I recall we even added grated Cheddar cheese to top it so very very elegantly. It wasn’t until I started this project to learn Japanese cooking, that I first heard of this delicious and somewhat exotic version of Cincinnati chili from a lovely woman called Jean on the Taunton Press Fine Cooking magazine forum. It’s become a favorite meal, and I want to let my online friends know about it. 03/03/2014 in Beef, Non Japanese Food, Wafu Spaghetti. Fanciful daisy dumplings are fun for appetizers or a light meal. They are sure to delight guests, but are easier to prepare than wontons, gyoza, or shui mai. These flower-like savories bring to mind an early summer bouquet—perfect for relieving the vision of dirty grey snow mountains and the numbing cold we are currently enduring. Now is the time to dream of spring and gardens and warmth. I am considering what to to about the lovely Montauk daisies planted in my garden. They are gorgeous plants which bloom late in the year. They can be encouraged in late spring—a time I am committed to considering while life is so cold and bleak now. 01/03/2014 in Asian Influenced Food, chicken, Mushimono, Noodles, Steaming, Tofu. The salty crispiness of bacon, the fresh crunch of lettuce, and the sweet juiciness of tomatoes, make BLT sandwiches a favorite lunch. Bacon, avocados, and tomatoes are a lesser known trio which provides a similar delight to the tongue, especially in summer when garden tomatoes are at their most flavorful.This winter has been unusually harsh: very cold and snowy here in the Midwest of the U.S. For me one escape is to eat what I want the weather to be, instead of what the climate is! This recipe from Hiroko Shimbo satisfies cravings for such a meal. 10/02/2014 in Grilling, Pan-Frying, Japanese Food, Stir-Frying, Western Influenced food, Yakimono. My first bite into a wonton, in Leo Ping’s on West Liberty in 1975 in Ann Arbor, began my attraction to the delicate noodle ruffle, surrounding a little pocket of filling. Love at first sight! Hiroko Shimbo has published this delicious Japanese flavored recipe in her latest book as “Wonton Ravioli” using a wonton skin for the bottom and another for the top; but because I love those slippery wing-like ruffles floating in clear broth, I made wontons rather than ravioli. The dashi stock, flavored with sake, mirin and lemon juice is perfect. It’s dashi-smokey with a bit of sweet and sour accents. 07/02/2014 in Asian Influenced Food, Japanese Food, Noodles, Soups, Western Influenced food. This recipe is similar to one I’ve enjoyed often, but the method of preparing the thin slices of pork is ingenious. 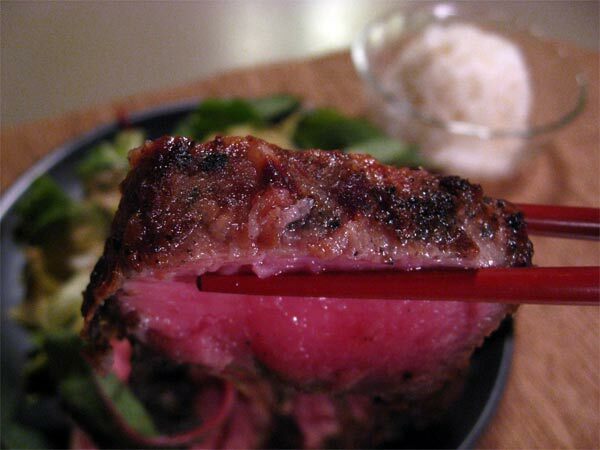 We’ve all heard about partially freezing meat to make it easier to slice thinly. 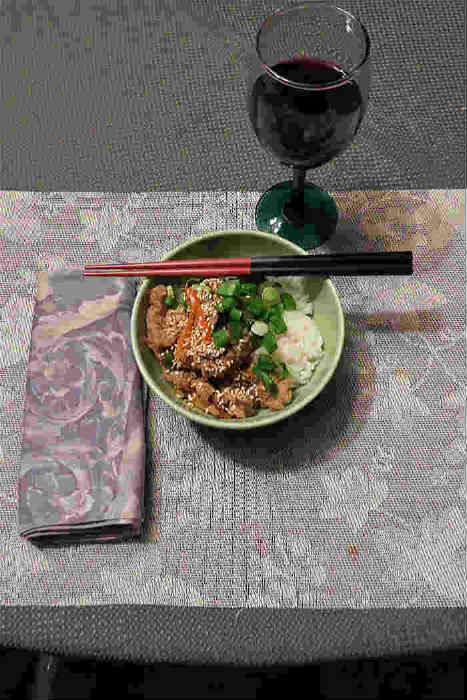 In this recipe Ms. Shimbo has the cook use a mallet to pound pork cutlets thin. Pounding the meat means no need for knife skills! 02/02/2014 in Dressings and Sauces, Grilling, Pan-Frying, Japanese Food, Pork, Stir-Frying, Yakimono. This pantry basic sauce, made with mirin, sake, sugar, and soy sauce is great to have on hand for yaitori, the Japanese version of grilled chicken. It’s also flavorful on beef, pork, tofu, vegetables, and seafood. 02/02/2014 in Dressings and Sauces, Grilling, Pan-Frying, Japanese Food, Yakimono. The winter sun-light, reflected by new white snow, makes harsh shadows on our grey and brown landscape. This amplification of the brightness is false. It’s neither warmer nor cheerier, a vision without substance. I want the pleasant consolation of color! This pale yellow Japanese soup, with bright red and green accents and the tang of a summer sea, is a perfect recipe for this season. 29/01/2014 in Asian Influenced Food, Fish and Seafood, Japanese Food, Shiromono, Soups, Western Influenced food. A sunny sky in winter in Southeast Michigan means cold, and brings cravings for warmth and comfort. This Japanese nabemono meal is a satisfying chicken soup served with a bit of fun while evoking fantasies of far away places at our familiar dining room table. The meatballs are flavored with miso, ginger, and garlic. Tossing them from hand to hand makes the surface smooth so that when they are added to the hot-pot they are soft and very attractive. 25/01/2014 in chicken, Japanese Food, Nabemono, Noodles, One Pot Cooking. Moon viewing noodles are customarily eaten in Japan during Tsukimi, the festival honoring the first full moon of Autumn. This first month of 2014 had a special full moon: a “mini-moon,” which is the smallest full moon we will see this year. 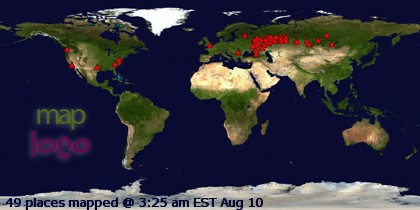 Astronomically, it is a full moon which is the furthest distance from Earth (apogee). The Moon was 16% smaller and 30 times dimmer than the super-moon which will occur in August.In honor of this occasion, we ate udon in hot broth topped with an egg. Tsukimi (moon-viewing) noodles include a whole raw egg in the center of the dish like a full moon surrounded by “clouds” of noodles. There are so many cautions against eating raw eggs in the U.S. (and I wanted to make this a complete meal) that we had soft boiled eggs, and chicken, with our noodles, thus making the dish “mother and child” noodles: oyako udon. 18/01/2014 in chicken, Eggs, Japanese Food, Noodles, Udon. This is a master recipe from Hiroko Shimbo’s book Hiroko’s American Kitchen to allow a cook to be creative with how to make Japanese noodles at home. You can use udon, soba, or somen noodles. The flavor is authentically Japanese, and the recipe provides a “master sauce” so you can make a lovely dinner in a quick hurry once you’ve stocked the “super sauce” in your freezer. If you love Japanese home-cooking, and Japanese noodles, then you need to learn this technique to get a delicious dinner on the table in minutes! 18/01/2014 in Dressings and Sauces, Japanese Food, Noodles, Udon. Hiroko Shimbo’s book, Hiroko’s American Kitchen, is about how to enjoy Japanese home-cooked flavors in the U.S. Many ingredients available in Japan are not readily found in this country she has now adopted as her home. She has found many delicious different ingredients here, and has adapted them in very Japanese ways by cleverly presenting a half dozen Japaneses “pantry staple sauces” as the basis of more than 100 recipes. Each has traditional Japanese flavors, and will bring us to the childhood-memory flavors of her home. 18/01/2014 in Dressings and Sauces, Japanese Food. This one-dish recipe with shrimp, sausage, peas, saffron, and ginger provides a hearty meal with remarkable complexity of flavor and fragrance. The result is like a cross between Paella and a delicate Stir Fry. The flavors permeate the rice, but because the pot has not been stirred, there are gradations of taste and fragrance from top to bottom. Does it taste Japanese? Well, I think the Japanese should claim it before someone else does! 11/01/2014 in Fish and Seafood, Japanese Food, Pork, Rice, Western Influenced food.